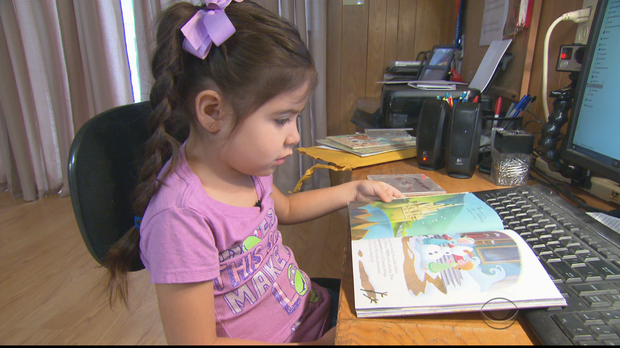 COLUMBUS, Texas — Four-year-old Mattie Zapata can’t get enough of her books on tape — because the voice is her mother, Mandi Balderas. Balderas is locked in a prison four hours away. Each month, Balderas and other selected inmates choose a story to record, then mail it home. It’s called Storybook Project, and it runs in six women’s prisons across Texas. Sixty-four percent of incarcerated women nationwide lived with their children before prison. Storybook tries to ease the pain of separation. Mattie was 18 months old when her mother went to prison for a DWI crash that killed the other driver, a crime of manslaughter that victimized her daughter, too. Balderas acknowledges that she made a decision to drive while impaired, which led to the death of someone else. But she doesn’t want that choice to prevent her from being there for her children. Balderas has four years of an eight-year sentence left. When she finally reunites with her family, she hopes her children won’t mistake her voice for a stranger’s.